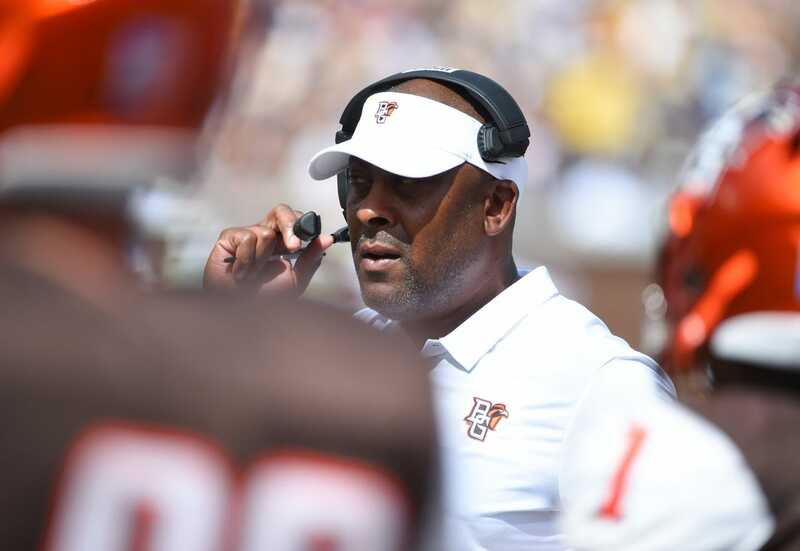 The first firing of the 2018 college football season occurred Sunday when Bowling Green dismissed third-year coach Mike Jinks. The Falcons fell to 1-6 with Saturday's 42-35 loss to Western Michigan. Jinks had a 7-24 overall mark. "I want to thank Coach Jinks for all of his efforts with our football program and in the BG community," athletic director Bob Moosbrugger said in the news release. "However, we felt it was time to make a change in leadership. These are not easy decisions and we do not take this lightly." Jinks went 4-8 in his first season (2016) and 2-10 last season. Bowling Green's lone win this season was a 42-35 decision against Eastern Kentucky on Sept. 15. Pelini is the brother of former Nebraska coach Bo Pelini, who is currently the head coach at Youngstown State. Carl Pelini went 5-15 as coach at Florida Atlantic from 2012-13. Moosbrugger said Bowling Green's search for a new coach would begin immediately. "We have a talented group of hard-working student-athletes and I look forward to the program finishing the season strong playing for the senior class under the leadership of Coach Pelini," Moosbrugger said. "Our football program has been a source of pride for our alumni and fans. We need football to be successful to help our entire athletics department and University. We are committed to excellence on the field and in the classroom."